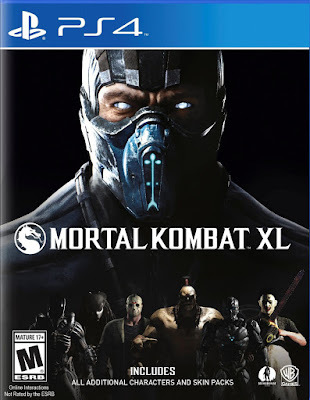 Mortal Kombat XL: Philippine Edition is finally out on April 15, 2016 Philippine Time. Last night, gamers from the Philippines have been waiting for the biggest game edition. Slow Internet prevente many Filipino gamers from getting the first Kombat Pack and the Second Kombat Pack exclusive to the Philippines. Now they can get it all in one disk. Non-playable factions such as Commission on Human Rights, Anak ng Bobo, Bobo Muna, Gagabriela and Liberal Party. New NPC opponents that can be killed off include Antonio Tinio, Joseph Pabaya, Toady Casino, Neri Cuckonares, Etta Rosales and Jericho Petilla. Philippine Edition Kostume Pack includes Shinnok dressed up as President Nobita, Quan Chi dressed up as Mar Roxas, D'Vorah dressed up as Stinky Soliman and Kotal Kahn dressed up in an Ifugao outfit. Sideline Story Mode includes President Nobita's suspension from Playstation Network for badmouthing those who don't have a PS4 and X Box One. The game was released today and it caused an extreme outrage towards officials. Kill Henares decided to charge those who bought the game a 20% increase in their income tax. She revealed she really hated to see herself getting finished off in many ways. However, there was no way to keep track of who bought the game and who didn't.